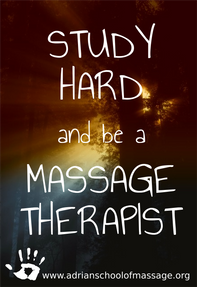 Our state licensed, 824 hour program is designed to give students a firm foundation in the science, application, and heart required to become a knowledgeable and compassionate massage therapist. We start classes twice each year, once in the Fall and once in Late Winter. If you would like to be considered for our program, be sure to enroll soon to save your spot! (We can accept enrollment applications up to one year in advance). 1) Submit your enrollment application either online or in person. 2) Make a tuition down payment of $500 or contact our office for special situations. 3) Have a copy of your high school transcripts mailed or emailed to our office. 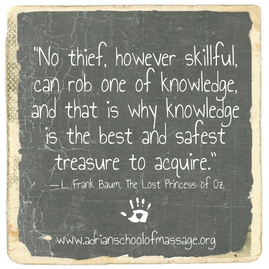 Adrian School of Massage is committed to helping students obtain their license after graduation and providing the support, resources, and tools needed to have a wonderfully rewarding career. Curious what life is like as a student? Are you interested in attending Adrian School of Massage? Submit your information below, and we'll contact you! Do you have any specific questions or topics you'd like to discuss?